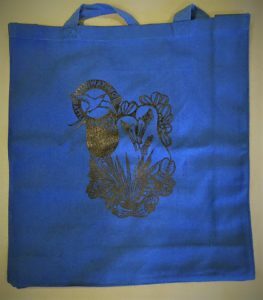 These sturdy, washable, 100% royal blue cotton tote bags measure 13.5″ x 15″ x 3.5″ (gusseted). The straps are the perfect over-the-shoulder length. 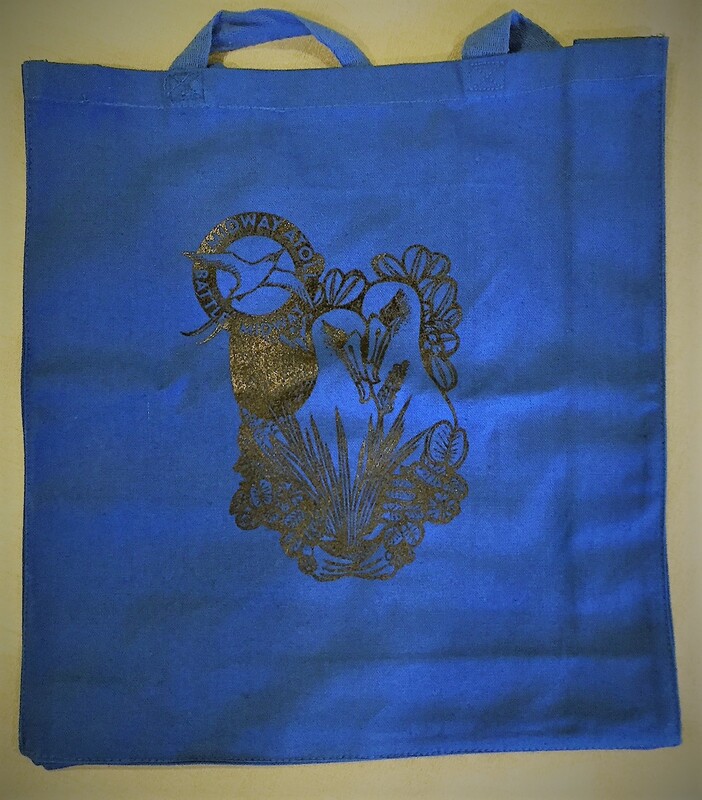 The totes are large enough for holding books or other things, and small enough to fit inside a larger tote. Artwork design in black ink.